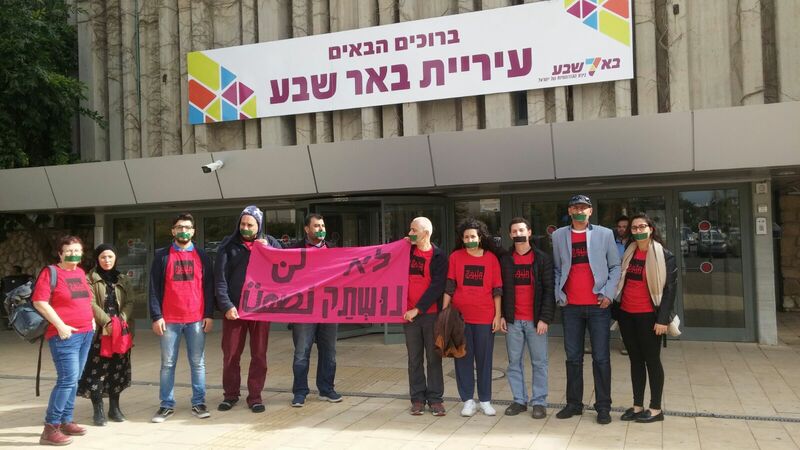 Last Thursday, the Be’er Sheva District Court discussed the appeal filed by the Association for Civil Rights in Israel (ACRI) on behalf of the Negev Coexistence Forum against the eviction of the Multaqa-Mifgash cultural center located in a public bomb shelter. During the hearing it became clear that Judge Eliyahu Bitan was taking the Beer Sheva Municipality’s side, making several controversial statements (such as comparing the activity of the Multaqa-Mifgash to Kahanist activity in Umm al-Fahm). As the judge sees it, there is no room for joint Arab-Jewish political activity in municipal property, and this is not a question of freedom of speech, but rather a narrow legal matter, since in the contract between us and the municipality it is written that our activity in the shelter will be “communal activity.” It is distressing to see that the court gives a hand to the limited interpretation of communal activity, as suggested by the Municipality, without realizing that such an interpretation could lead to a slippery slope, eventually silencing any critical activity. It is a shame that the judge does not see the case from a somewhat broader perspective in light of the recent gradual detraction of the freedom of speech and public space in Israel. Instead of promoting notions of dialogue and deliberation, even on controversial topics, as is customary in democracy, the judge’s words are a reward for all those who seek to create a division between different groups in society and to silence any opinion that is incongruent with the government’s opinion. The meaning of the judge’s remarks is that whenever we want to hold an event, we will have to consider our actions and censor the activity so that it will be apolitical and will be in line with the Municipality’s position. 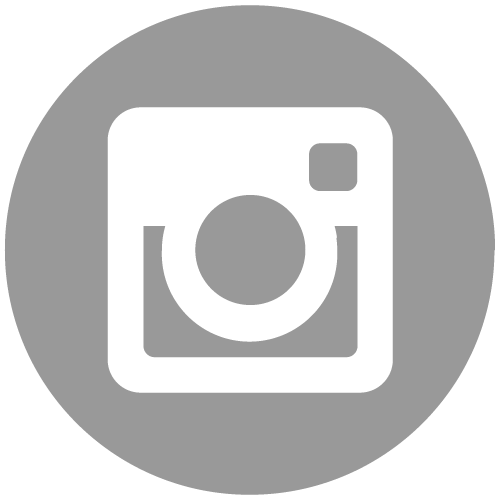 Political or censored events will move elsewhere, outside the Multaqa-Mifgash. Of course, if this is the case, we will have to appeal to the Supreme Court. Our commitment to freedom of speech is absolute, and we will do our best to turn the decision in order to keep the contents of the Multaqa-Mifgash in our hands. We will not agree to the city’s censorship or self-censorship.For further details on the court hearing click here. 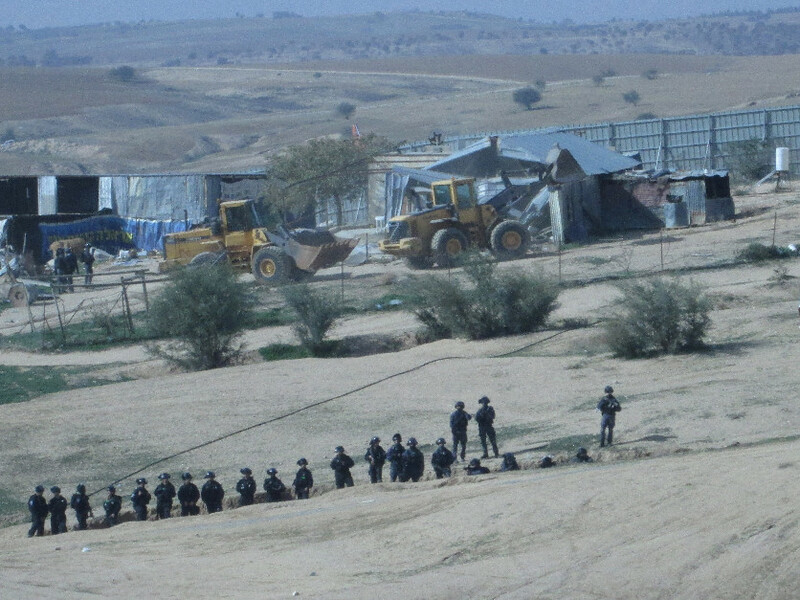 Last Wednesday (21 March) officials from the Israel Land Administration, accompanied by police forces, arrived in Umm al-Hiran in order to issue demolition orders to all village structures. For a week the residents of Umm al-Hiran witnessed representatives of police and law enforcement bodies come and go, preparing for house demolitions and displacement of the village. On Wednesday, their fears were realized and representatives of the law enforcement authorities came to the village to issue demolition orders for all houses in the village. The demolition orders handed out on Wednesday stated that the evacuation date is flexible and will take place between April 15 and 28. On January of last year a massive police force raided Umm al-Hiran in order to demolish structures. Before demolitions began, policemen fired at a local resident, Ya’akub Abu Alqian, while he was driving his car away from village, as he did not want to witness the destruction taking place. As a result of the shooting, Abu Alqian lost control over his car, which rolled down hill, killing policeman Erez Amedi. Ya’akub received no medical assistance and was left by the rescue forces to bleed to death. The police claimed, and keeps claiming, that this was a terrorist attack, despite the many contradictory findings (among others, those of the Police Investigation Department). As of now, it is still unclear whether the policemen who shot will be investigated and whether the incident will be classified as a terrorist attack by the State Attorney. More than year after the tragic incidence, the government is still exerting heavy pressure to evict the residents of Umm al-Hiran. 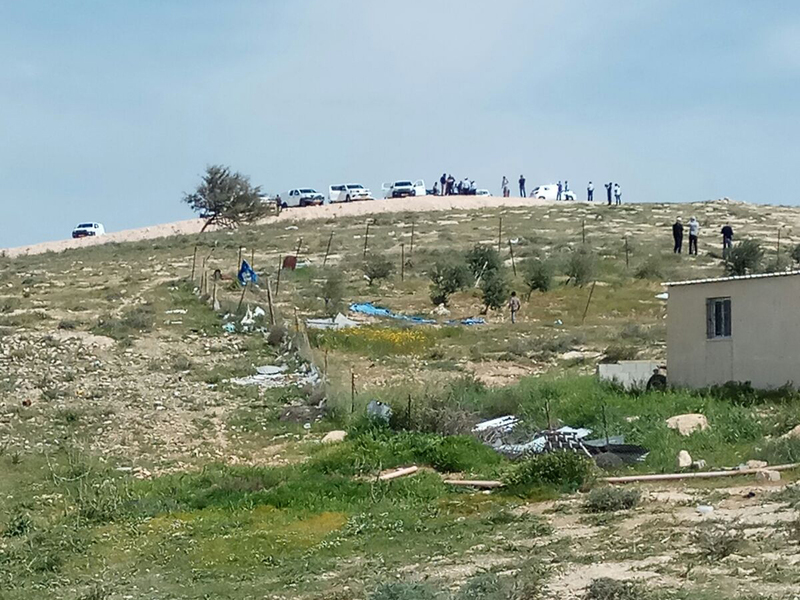 Despite the tragedy that took place last year and the residents’ opposition, government officials continue to try to forcibly evict the residents of Umm al-Hiran to Hura and build the Jewish settlement Hiran on top of the village ruins. While residents of Umm al-Hiran are willing to be part of the upcoming settlement of Hiran, the one and only choice the state is offering them is moving to Hura, even though there are no vacant plots there. 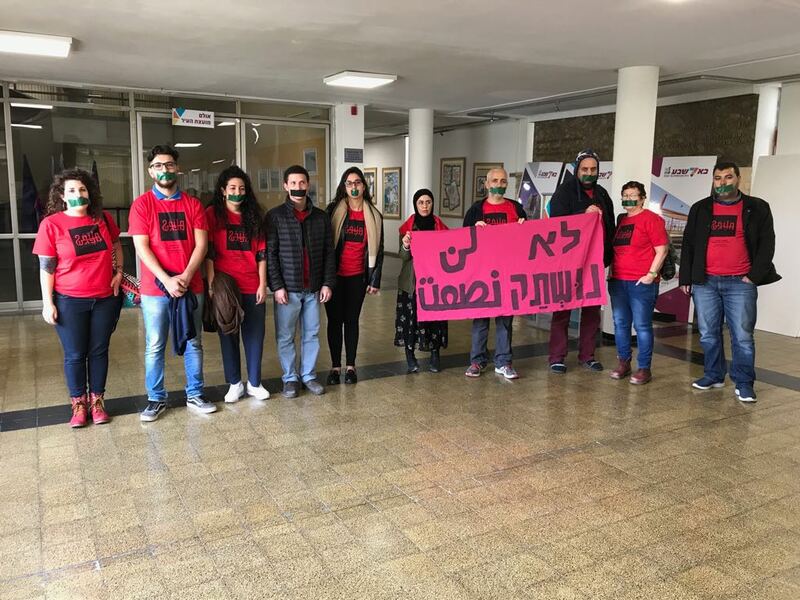 For years, the residents of Umm al-Hiran have been waging a courageous and inspiring struggle for the right to be equal citizens, the right to live in a democratic space, the right not to be transparent to their country. We call upon all those who oppose racism and segregation to support the struggle of the residents Umm al-Hiran in their difficult times.